Big or small, corral them all! 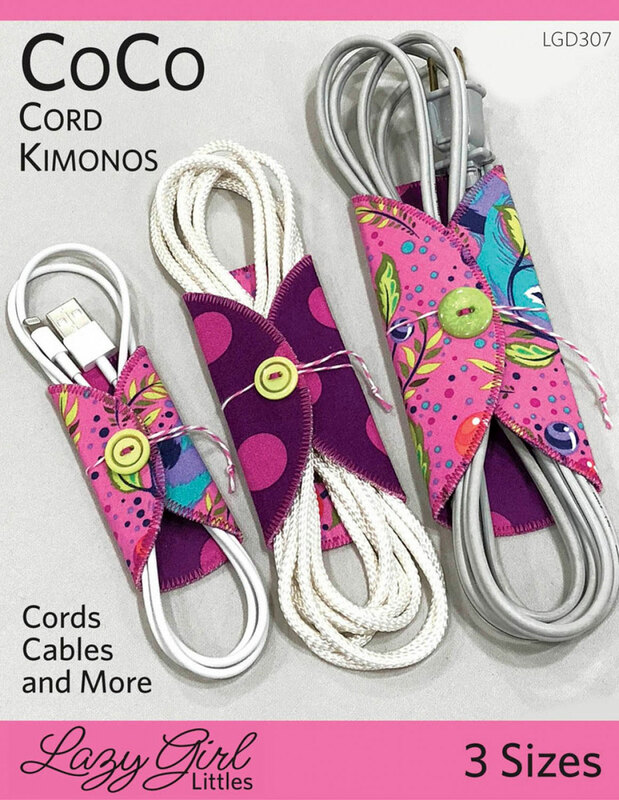 CoCo is a beautiful, kimono-style keeper, handy for cords, ribbon, yarn...even small quilt bindings. 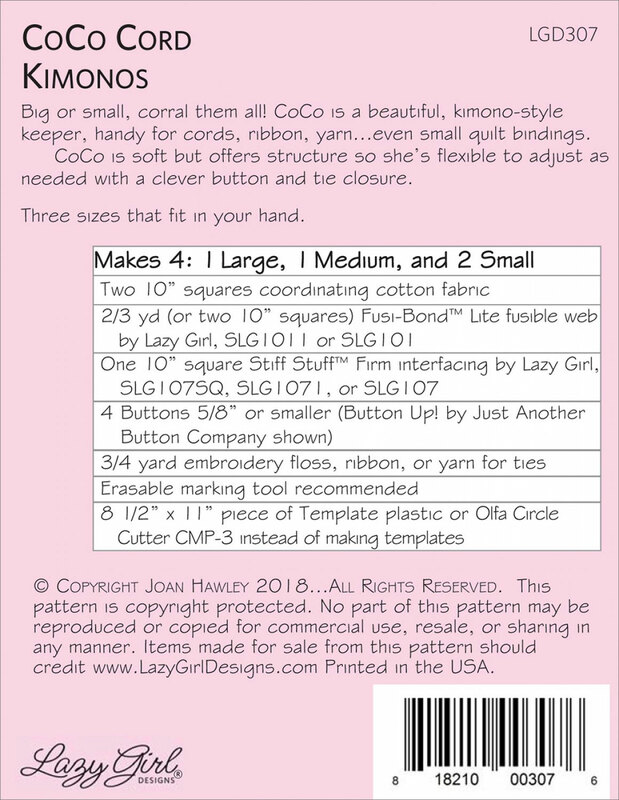 CoCo Kimonos are soft but offer structure so she’s flexible to adjust as needed with a clever button and tie closure. Three sizes that fit in your hand. Required materials makes 4: 1 large, 1 medium, 2 small Two 10in squares coordinating cotton fabric 2/3 yd (or two 10in squares). Click pattern back image for a closer look at all required materials.